Graduate programs in the School of Education are growing rapidly, with notable new opportunities for career educators and other professionals to pursue a Doctor of Education (EdD) at Baylor. The EdD in K-12 Educational Leadership launched in 2017, and the Online EdD in Learning and Organizational Change launched in fall 2018. 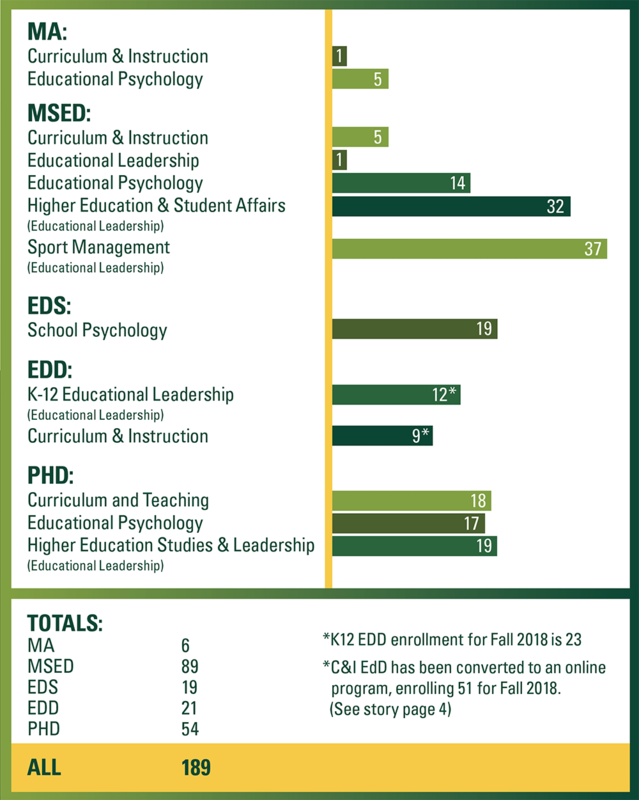 Here's a glance at where School of Education programs stood for the 2017-18 academic year. 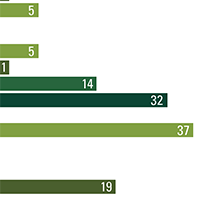 The SOE's 2017-18 total of 189 graduate students compares to a population of about 400 in the teacher-education undergraduate program. Graduate population for 2018-19 will grow by at least 75 students.